LabCorp shuts down its entire computer network when it detects that a hacker has penetrated its systems and is trying to access patient records. The company says via an SEC filing that test processing and customer access was limited over the weekend. It will take several days to bring all systems back online, the company says, causing delays in results reporting. LabCorp hasn’t yet said whether PHI was compromised. The company does not use Twitter or Facebook, but its LinkedIn profile and its website don’t mention the outage. From Another Allscripts Casualty: “Re: Friday the 13th Allscripts layoff. Our VP used a lot of corporate jargon words like ‘synergy’ and ‘socialize the discussion’ to describe the streamlining process in which basically each manager had to remove one employee slot, even those with teams of just a handful of people. Team managers were notified only 30 minutes before the heads rolled. The cuts were not performance based, so producer worker bees were let go instead of middle layer fat. The McKesson EIS acquisition brought in a lot of overlapping people and I expect another round late this year or early next as more people are trained to be cross-functional. Allscripts is like the mythical Hydra – every time they lop off a head, another acquisition causes 10 more to pop up, and management is never lopping the right heads. I think some of the people at the top have a good idea of where they want to take the company, but the inertia of herding cats keeps them in the same rut.” Unverified. I’m not as confident that the company has a solid, rational strategy other than making undisciplined acquisitions that sometimes work out great (Netsmart, DbMotion) and sometimes just fizzle out quietly. That’s been the strategy all along, but other than a burst of investor enthusiasm that sent shares on a tear in 2000 (peaking then at more than six times today’s share price), it’s been a market-lagging stock that made headlines for mostly the wrong kind of reasons as it also came late to the post-MU EHR consolidation party by finally announcing that it would develop a new product, which is new territory for a company known for buying instead of building. Even with all that acquisition activity, Allscripts has a market cap of $2.2 billion, around 1/10 that of Cerner and one-third of Athenahealth’s market value. It has made some good deals, though – it paid just $185 million to buy the health IT business of a desperate and perpetually HIT-clueless McKesson, then sold off just the content management part to Hyland for up to $235 million. From Fact Checquer: “Re: Allscripts. You mentioned the new EHR product Avenel. I find no mention of it on the company’s site.” It’s not listed on the physician EHR page with TouchWorks or Professional, but I found by Googling that it has its own site that says “machine learning” a lot and offers only a “contact us for more information” form. From Bjorn To Be Wild: “Re: HIStalk theme music. I don’t know when you added it, but I love it. It improved an already wonderful daily morning reading and coffee experience.” I put up the prog rock “HIStalk Theme” a few weeks ago. That musical style isn’t to everyone’s taste, so I’m considering commissioning a light jazz sort of tune for a more mellow experience. It’s surprisingly inexpensive (in the $100 range) to have custom music created to spec. From RN Data Maven: “Re: National Guidelines clearinghouse shutdown. A tragic loss of a resource for practitioners to access evidence-based clinical practice guidelines. Fear of evidence-based scientific research or short-sighted funding decisions?” AHRQ says it can’t come up with the $1.2 million to keep the site running and thus took it down this week, but the non-profit ECRI – who managed the site for AHRQ — will bring it back in the fall with enhancements as a fee-based service. Some speculate that the site was doomed once then-Congressman Tom Price, MD (who later became HHS Secretary for a few months) demanded that AHRQ remove a study that was critical of a drug sold by one of his campaign donors. Lorre has a backlog of inquiries for my annual “summer doldrums special” on new sponsorships and webinars, but she would still be happy to chat. I was thinking today that Karl Marx’s “opiate of the masses” is no longer religion – now it’s actually opiates. UnitedHealth Group reports Q2 results: revenue up 12 percent, EPS $2.98 vs. $2.32. The company’s UnitedHealthcare insurance business took in $46 billion as membership increased to 49 million people. Its Optum segment, which provides pharmacy benefits management and technology services, booked $1.8 billion in profit on $25 billion in revenue for the quarter. 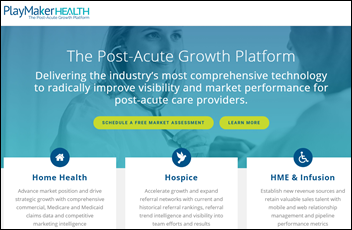 Nashville-based post-acute care CRM software vendor PlayMaker CRM acquires post-acute market intelligence and analytics vendor ViaDirect Solutions and renames itself PlayMaker Health. CoxHealth (MS) chooses Kyruus to provide a digital provider directory and patient-provider matching technology for its website and call center. Southwest Mississippi Regional Medical Center selects Phoenix Health Systems for outsourced IT management and support. Australia’s Canberra Hospital and University of Canberra Hospital will implement Alcidion’s Electric Patient Journey Board to reduce length of stay and improve patient flow from the ED. 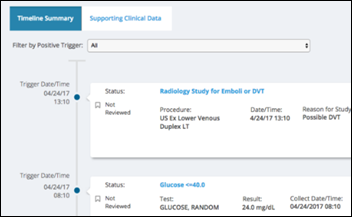 Health Catalyst launches a patient safety surveillance system and applies to become an AHRQ-certified Patient Safety Organization (PSO) that can offer clients a litigation-free environment for data analysis. The trigger-based system cost $50 million to develop. The company says EHRs offer limited surveillance capabilities and, unlike a PSO framework, are legally discoverable. CompuGroup Medical launches its ELVI telehealth product. Behavioral Health Network of Massachusetts goes live on ZeOmega’s Jiva population health management. 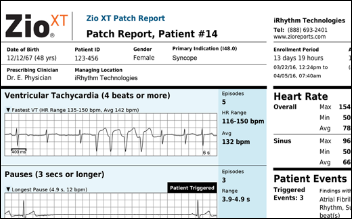 NIH Director Francis Collins, MD, PhD pitches IRhythm’s Zio arrhythmia monitoring patch for detecting unknown atrial fibrillation, although noting that while the results may get patients to visit their doctor and begin anticoagulant therapy, its long-term benefit in reducing strokes, ER visits, and hospitalizations remain unproven. Collins concludes that the clinical trial was interesting because high-risk patients were recruited by email, had the patches mailed to them, then mailed them back at the end without having met a researcher face to face. Less exciting is the fact that we have yet another high-powered diagnostic tool to detect diseases that we as a country can’t afford to treat because we refuse to control healthcare costs — those newly ordered anticoagulants cost $15 per tablet, meaning someone will be paying $5,000 per year for the rest of each new patient’s life, although maybe that’s cheaper than treating the subset of them that would have otherwise had strokes. FCC will propose in its August meeting to fund a $100 million “Connected Care Pilot Program” that would promote using telehealth among low-income families and veterans by providing affordable broadband service. Up to 20 providers that serve low-income populations would receive up to $5 million in funding in partnership with a broadband services provider. Change Healthcare introduces a kill switch for its HealthQX value-based care analytics suite that allows customers to instantly revoke access to their data as long as two of its authorized operators issue the command from separate locations as part of a “bring your own key” capability. A Quest Diagnostics survey finds that healthcare has made little progress toward value-based care since last year. More than half of health plan executives think physicians don’t have the tools they need to succeed under VBC arrangements, while 61 percent of doctors say their EHR doesn’t contain all the information they need to deliver patient care. In Australia, 20,000 people opt out of sharing data with its My Health Record online system on the first day of the three-month opt-out period. Western State Hospital (VA, rebranded from the more memorable Western State Lunatic Asylum) realizes that it hasn’t followed state laws allowing it to destroy the records of patients 10 years after their last date of service, forcing a three-year records review in which a single HIM employee examined 6,000 reels of microfilm dating back to the 1800s. And you thought your job was dull. A New York Times report notes that rural hospitals are not only closing at alarming rates, they are eliminating OB services to the point that fewer than half of US rural counties still have hospitals that deliver babies. It notes that loss of OB services means that fewer women receive prenatal care due to the time and cost of traveling further, more of them deliver prematurely, infant mortality increases, and EDs deliver babies the best they can. [LexisNexis] said it uses 442 non-medical personal attributes to predict a person’s medical costs. Its cache includes more than 78 billion records from more than 10,000 public and proprietary sources, including people’s cell phone numbers, criminal records, bankruptcies, property records, neighborhood safety, and more. 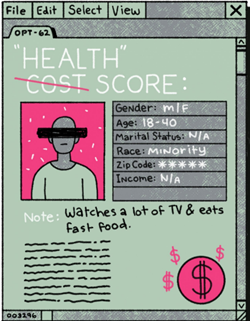 The information is used to predict patients’ health risks and costs in eight areas, including how often they are likely to visit emergency rooms, their total cost, their pharmacy costs, their motivation to stay healthy, and their stress levels. People who downsize their homes tend to have higher healthcare costs, the company says. As do those whose parents didn’t finish high school. Patients who own more valuable homes are less likely to land back in the hospital within 30 days of their discharge. The company says it has validated its scores against insurance claims and clinical data. But it won’t share its methods and hasn’t published the work in peer-reviewed journals. 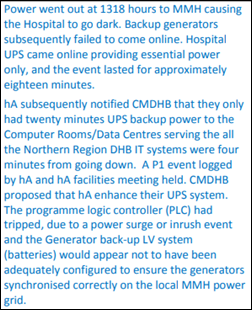 In New Zealand, an internal health board report finds that hospital generators failed to kick on after a power line was cut, with battery back-ups having just four minutes of power left when the power came back on. My experience with generators is not reassuring – even with regular testing and fuel monitoring, the switchover always seem to fail. What’s your experience? In England, a nurse assistant is charged with fraud after submitting timesheets indicating that she had worked 242 shifts in 20 months instead of her actual 10, for which she was overpaid $66,000. She claimed that she thought she was entering the times she was available for work instead of logging her actual time. She had asked her manager to help her, which might have provided yet another clue to the manager that her entries were incorrect. The judge noted that the hospital makes such fraud easy. We have a guy right now that has cost us — has cost all the people in this room — close to a million dollars in health bills because he constantly eats the jail. Across the country, the easy thing to do was cut mental health services, and they’ve done it. So people don’t get better. They don’t get treatment. They go to jails and prisons and emergency rooms. Welcome to a country run by lawyers. In Las Vegas, Mandalay Bay Hotel’s corporate parent MGM Resorts International sues 1,000 concert-goers injured in the Route 91 Harvest festival shooting last year, hoping to force a decision that it can’t be held liable because it hired a security firm that was certified by the Department of Homeland Security for protecting against mass injury. A lawyer representing some of the victims says the company – which also owns the concert venue — is “judge shopping” in trying to push any case into federal instead of state court. Buffalo Business First profiles Hamish Stewart-Smith, CTG’s managing director of sales for its North American healthcare business unit. Huntzinger Management Consulting Group earns high rankings in the KLAS HIT Assessment & Strategic Planning 2018 report. FDB releases a new video to help people understand how its Opioid Risk Management Module supports safer opioid risk management and prescribing. Dimensional Insight VP George Dealy earns CHIME’s CFCHE credential. LabCorp site was down over the weekend and is back up again today. No notification to client IT sites. No notification on their site. Their interfaces to external organizations remained running. Heard about it via a rumor from another site and then confirmed by the Daily Mail! My experience is the same as yours in that it’s always the source switching that fails. A reader reports that LabCorp was hit by SamSam ransomware. . I was scheduled for blood work at a Delaware LabCorp location on Monday, July 16th. I decided not to go based upon this vague email. I have tried since to schedule an appointment online, but am unable to do. Our records indicate that you have an appointment at one of our LabCorp locations on Monday, July 16. At this time, we are experiencing issues with some of our systems, and there may be delays at the LabCorp location you selected as a result. We will take care of you as close to your appointment time as we can. You can reschedule your appointment for a later day if that is more convenient for you. Please do not reply to this message. This e-mail is automatically generated and replies to this e-mail address are not read. We remain committed to providing you with a high-quality experience at all times, and we apologize for the inconvenience. Thank you for choosing LabCorp. Re: MGM’s lawsuit – unbelievable! This would include: Bellagio, ARIA, Vdara (personal fav), MGM Grand and Signature, Mandalay Bay, Dealano, Mirage, New York-New York, Luxor, Excalibur, and Circus Circus. I’m confused? Why should MGM be held liable for the actions of a deranged man? What exactly were they supposed to have done that would indicate they were negligent and liable for anything? The fact that we have so many ambulance-chasing attorneys and insurance companies using these victims to line their own pockets is disgusting. I don’t blame MGM for trying to get out in front of it. There is no reason they should be held liable for any of this in the first place.